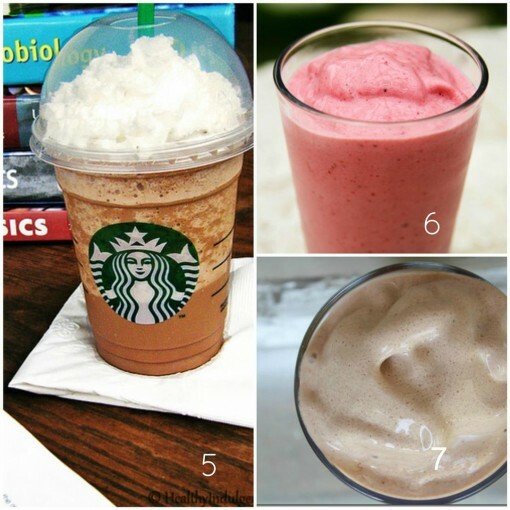 15 Low Sugar Smoothie Recipes was posted on August 2nd, 2013 and is filed under Drinks & Smoothies. This entry has 25 comments. You can follow any responses through the RSS 2.0 Comment Feed. 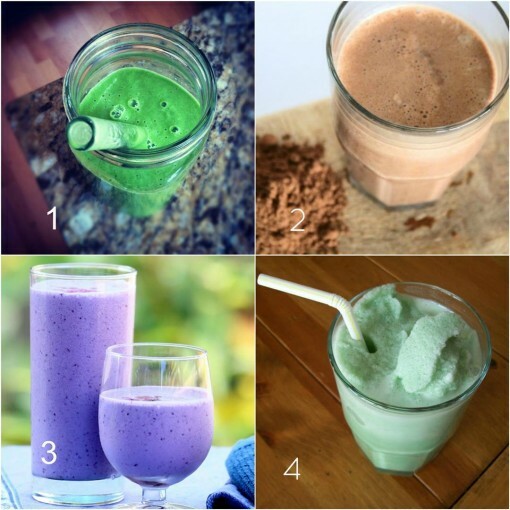 Can you believe it…August has started and so has the COLOURFUL SMOOTHIE CHALLENGE! Yay! I’ve been loving all your check-ins so far and posted a video on Instagram of today’s smoothie. Who says eating healthy is no fun?! Since I was very young, I did a lot of research on health/nutrition/fitness and learned mostly through books (and internet). The search for knowledge never ends though and I feel like I’m still just beginning to learn! I’ve been down on eating high-sugar diet for years, but I didn’t realize how high my diet was in sugar…mostly because I ate a LOT of high-sugar fruits and an abundance of maple syrup, agave, and raw honey. There is nothing wrong with fruit or any of those natural sweeteners…but how much you eat them can be a problem…and I know that I ate too much of that wonderful, natural sugar. For the last several months, I’ve been sticking to a lower glycemic lifestyle with my food…and I flipping love it. I have been eating very little gluten, higher fat, and lower carb (NEVER without carbs – I LOVE my carbs and I don’t think it’s healthy to leave them completely out). Anyway, in an attempt to keep my blood sugar levels lower I compiled a list of 15 low sugar smoothies I want to try. For this challenge, I really didn’t want my blood sugar levels to sky rocket every single time I consumed a banana and date smoothie. Even though ingredients like bananas or dates sound ultra healthy, they signal your pancreas to release insulin. Insulin allows glucose to be taken into the cells and while you need some of that…if there’s too much the glucose has to go somewhere….so it ends up being stored as fat. Simply put: You need sugar, but you don’t need much. I’ve also been learning about things that slow the sugar rush – lots of fibre and protein. Anyway, back to the initial point I was trying to make before I starting following bunny trails. 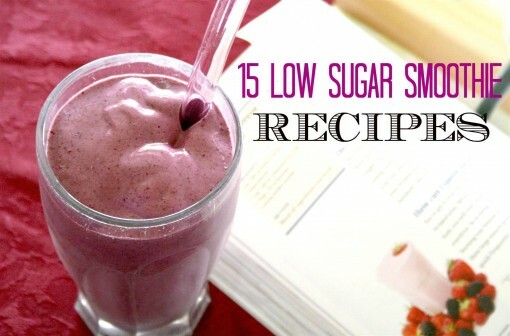 This month, as I drink my smoothie a day, I want to focus on LOW SUGAR SMOOTHIES. So I scoured the internet for smoothies and I wanted to share the love with you. Let me know if you try any of these! I don’t even know which one to make first because they all look so good! What do you think about high-sugar fruits/foods? Do you have a low-sugar smoothie recipe to share with me? Feel free to share links! Great list! 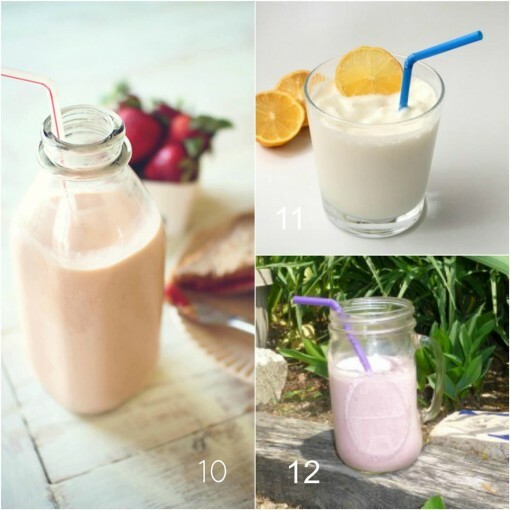 I find my blood sugar can be really sensitive and I actually find overly sweet smoothies a bit gross now – so these will be really helpful in the smoothie challenge! They all look soooo good! Thanks for sharing my Blueberry Jelly Bean Smoothie! OHHH! Number 4 – YUM! :D totally checking all of these out right now! Oh my goodness, these look amazing! Pinning! Pinned! I’m with you – which one to make first??? Ill tweet…then I MUST MAKE FOR THE CHILD. bookmarking these and making them later.. like all of them! The colour is great. Beautiful blog. Hey, thanks for featuring my Grasshopper Frappe! Dee – Feel free to email me! I’m happy to answer any questions, and you know, fruit is FABULOUS for you! I am just more careful about the high sugar fruits like bananas and not overdoing it. Enjoy fruit! Thanks for featuring my strawberry shake! This is a great list! I just got a new vitamix and will be trying more of these recipes! Tim – If ever I don’t know…I just put an ingredient or recipe in this analyzer http://caloriecount.about.com/cc/recipe_analysis.php – works great! Thanks for including me! These all look fantastic!